You guys. 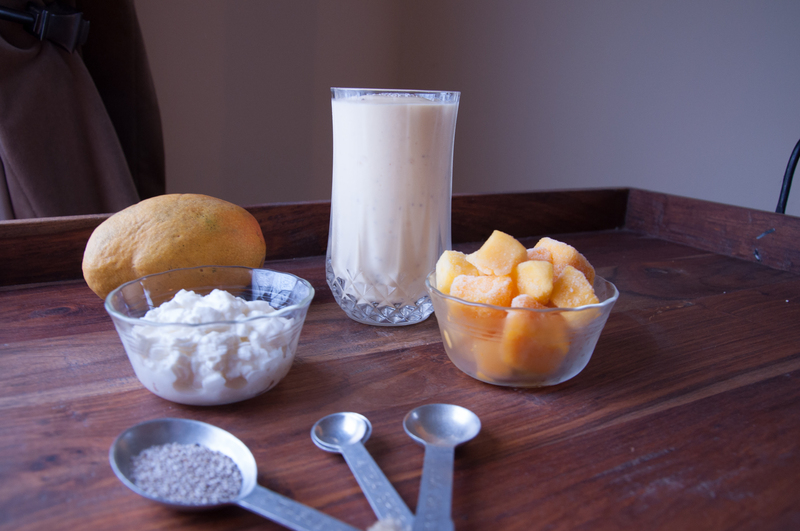 I’ve been making smoothies and putting the recipes on POPSUGAR. 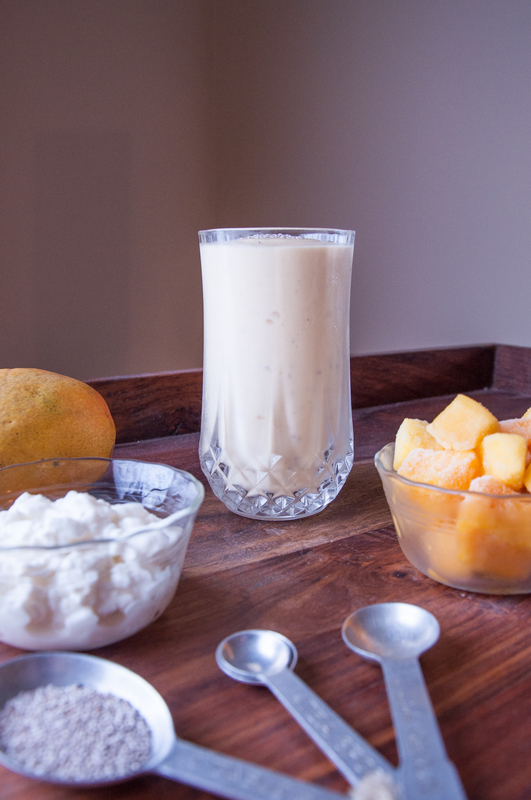 And not just any smoothies — cottage cheese smoothies! It sounds gross, I know, trust me. 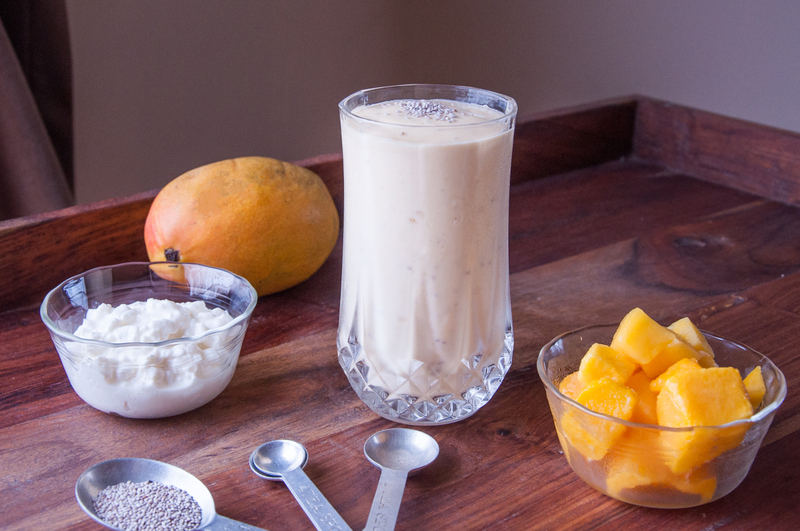 HOWEVER when it’s blended up with fruit, it cuts down on sugar, significantly ups protein, and adds a thick, creamy texture that’s almost reminiscent of a milkshake. 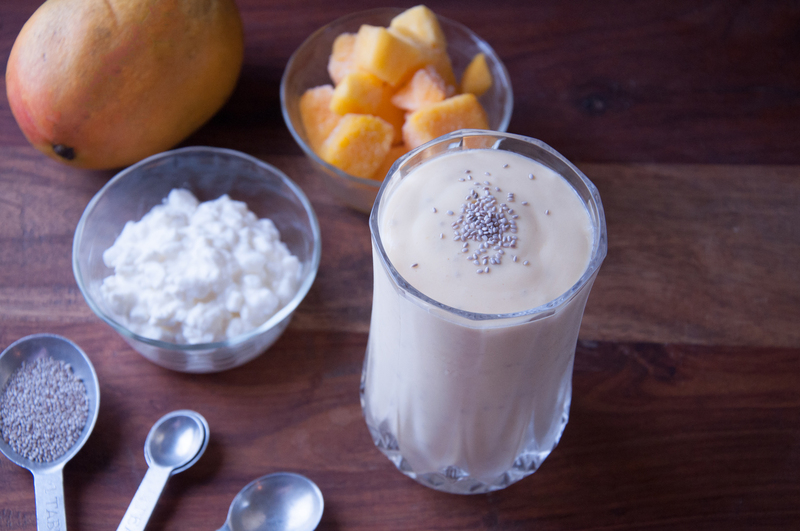 One of my favorite blends so far is this Mango Lassi Smoothie. You swap yogurt for cottage cheese, and add some coconut or almond milk to thin it out, and toss in chia seeds for added nutrition. 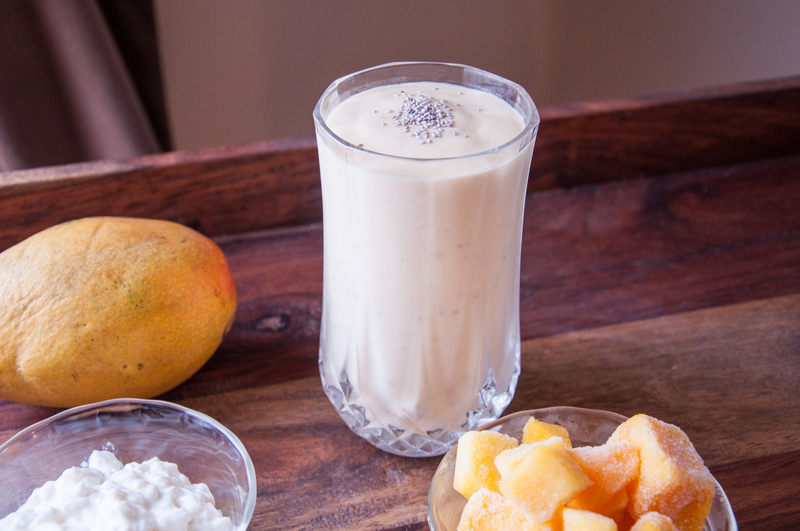 Get the full recipe on POPSUGAR here, but just do me a solid and MAKE IT because it is bomb af, tastes like a combo of mango pudding and a mango milkshake, and will fill you up with about 30g of protein in one tall glass. It’s my new favorite post-workout drink. Enjoy! PS. If you’re on snapchat, tomorrow would be a good time to follow @POPSUGAR! I’ll be doing an editor takeover (Saturday, 4/23) showing “a day in the life of a fitness editor,” and likely making this smoothie. Tune in!